Medical lasers use precisely focused light sources to treat or remove tissue. Lasers use a specific wavelength of light, focused in a narrow beam, which creates very high-intensity light. When focused on a tiny area, they can cut through tissue, and can therefore be used in place of a scalpel in surgical procedures. In the medical field, lasers are most often used for cosmetic procedures, including hair removal, rosacea and acne treatment, and removal of scars and stretch marks, and eye surgery, such as cataract treatment and refractive surgery for correcting vision. In dental practices, lasers are often used to disinfect root canals and remove decay, as well as to whiten teeth. Research is being done on using lasers to treat cancers, while experiments are underway to regenerate damaged peripheral nerve cells using low-intensity lasers. Because lasers increase blood circulation, they speed recovery of soft tissues and reduce swelling and pain associated with healing skin sores. For many surgical procedures, lasers are associated with less blood loss, less scarring and lower rates of infection than traditional surgical procedures. 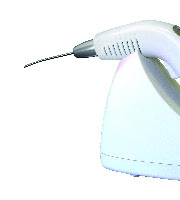 Various types of lasers are available and suitable for different medical applications. Carbon dioxide lasers are precise, bloodless light scalpels that are used for cutting and excising tissue and sealing small blood vessels and lymphatics. Argon lasers are used for blood vessel coagulation and to perform slow thermal tissue destruction, such as gastrointestinal bleeding ulcer treatment, cancerous lesion treatment and tattoo removal. Neodymium –YAG lasers provide tissue destruction with good hemostasis and control normal and abnormal blood vessels. Thank you, any other articles you would like reading about?